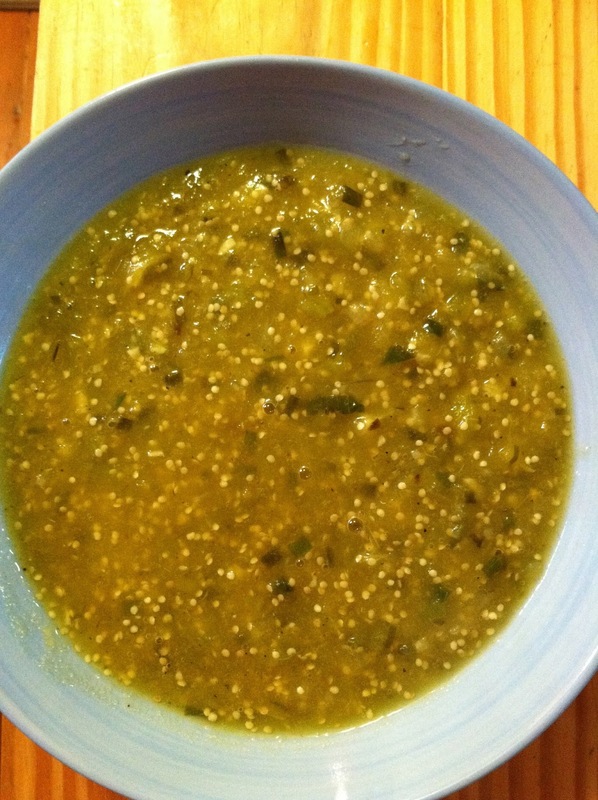 Until this year, I had never eaten a tomatillo. We grew them in our yard this summer, and they are just now starting to get ripe, so we decided to experiment with them. 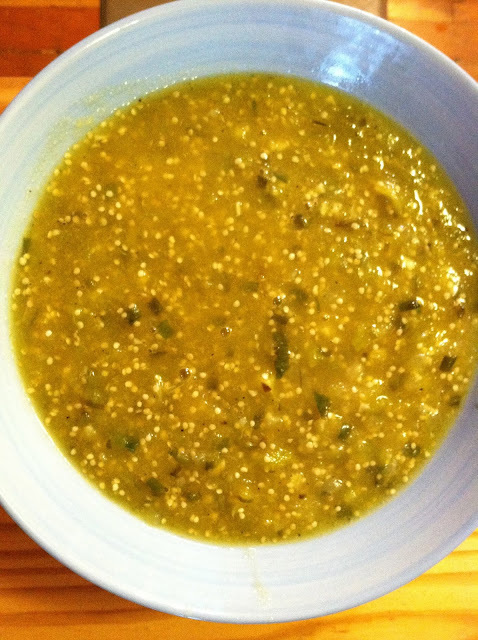 It made sense that we'd make some salsa verde, since that is the first recipe that always comes up when you search the word "tomatillo". Since I had never eaten salsa verde before, I really didn't know what to expect, but this is a lovely dip that D and I enjoyed placing tortilla chips into. Later, we poured it over enchiladas, and it was absolutely fantastic. This recipe makes quite a bit of salsa, so if you're not planning on making two meals with it, I suggest cutting the amount of ingredients in half. It's also incredibly easy, so don't let the papery lanterns fool you into thinking you need to buy store-bought salsa! Mix everything (but lime juice) together and place in an oven-proof pan (I used a cast-iron pan, and it worked great). Broil 15-20 minutes, until tomatillos are soft and a little charred. Add lime juice and pour into a blender. Blend to desired consistency and serve. This post was shared on Wellness Weekend and Allergy-Free Wednesdays.